Biological rhythms are ubiquitous in nature, from the beating of the heart to the rhythms of flowering plants. This rhythmicity is in some instances determined by the oscillations in the activity of proteins, present in our cells, which mark the rhythms of the processes they control. The two main cellular oscillators are the so-called circadian clock and the cell cycle. The circadian clock – awarded last year with the Nobel Prize in Physiology or Medicine – is responsible for generating the oscillations of biological processes in coordination with the day and night cycle and its associated changes in light and temperature. In turn, the cell cycle is responsible for the division and growth of cells. If the cell cycle does not work properly, the effects on organisms are very dramatic, the most well-known being the development of cancer. Therefore, the cell cycle must be very tightly regulated to avoid a possible malfunction. 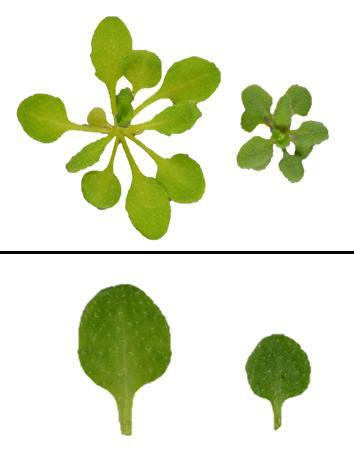 The discovery, which is published this week in the journal Developmental Cell, was made using the model plant Arabidopsis thaliana. The CRAG team used modified plants in which the circadian clock goes slower due to an increased and constant accumulation of TOC1, an essential component of the plant circadian clock. Their studies showed that these plants and their leaves were smaller than normal. "When we counted the number of cells in the leaves of the plants that overexpress TOC1, we saw that there were fewer cells, which suggested that by modifying the circadian clock, we were also modifying the cell division pace", explains Jorge Fung, pre-doctoral student and first author of the work. In addition to the CRAG researchers Jorge Fung-Uceda and Paloma Mas, researchers from the Sungkyunkwan University in the Republic of Korea and the Center for Plant Systems Biology (VIB) in Belgium have also participated in the study.